ETonline points out reaction online was mixed moments after the video was broadcast, with some not sure what to make of Smith's version of the animated character from the original 1992 film. But Disney provided another image of the character that wasn't shown in the trailer, offering fans another look to consider before making their judgements. 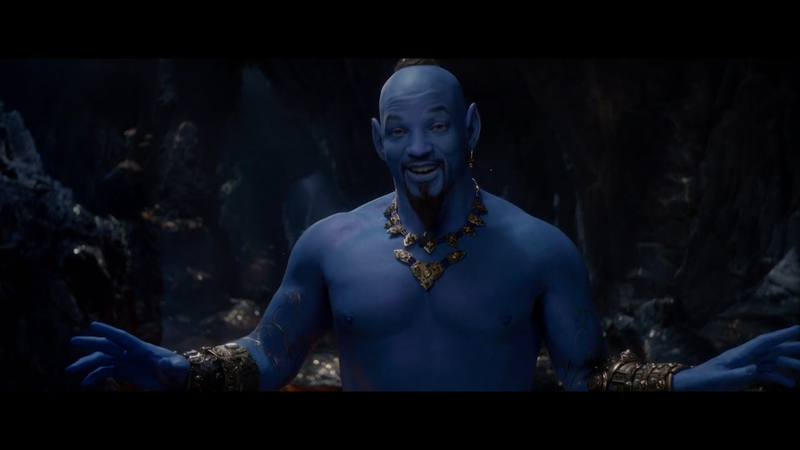 The photo caused a bit of a stir, forcing Smith to assure fans he would be blue in the film. Smith posted the trailer to his Instagram, writing, "I told y'all I was gon' be Blue!" "Genie, wishes, lamp... none of that ringing a bell?" says a portly, blue Smith, who looks like a nightmarish Smurf.